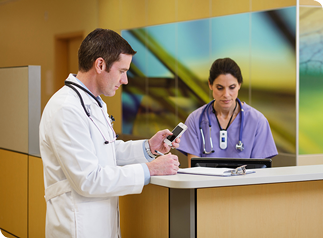 View the results from the more than 100 healthcare IT leaders surveyed at HIMSS15 about the future of BYOD in healthcare. The eStore is a service for existing Vocera customers with active Vocera contracts to resupply their staff with additional Vocera products, accessories, and training kits. Purchases from the estore can be made using major credit cards or purchase orders. © Copyright Vocera Communications. All Rights Reserved.